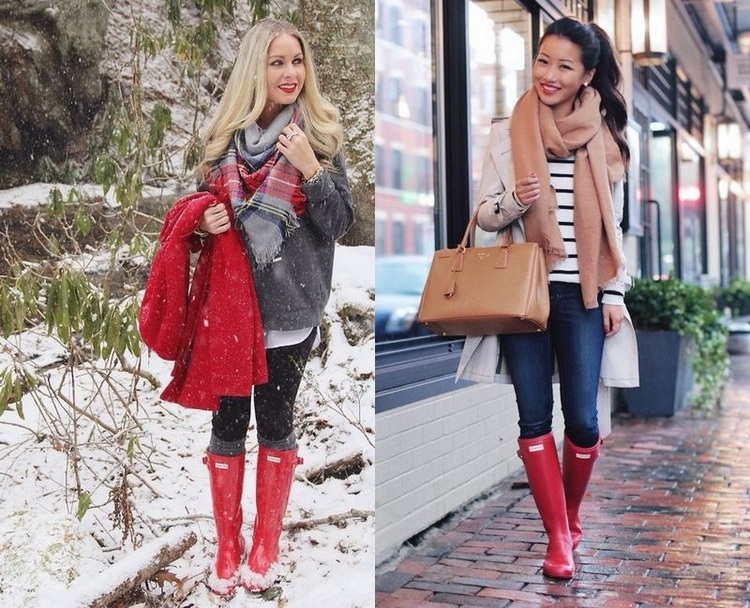 Rain boots – short or long are undoubtedly the best choices for these winter days. You can choose colored rain boots because they are even more fun and look good combined with clothes in neutral tones. 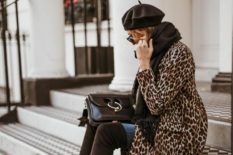 Also you can combine your rain boots with mini skirts, short dresses and shorts, replacing tights by wool socks, which should not exceed more than a span above the boot, completing the look with a parka. If you like to wear your rain boots with pants, they should be tight, preferably the skinny models or leggings, so that it does not create volume on legs and combine with a Turtleneck Sweater and a Parka.